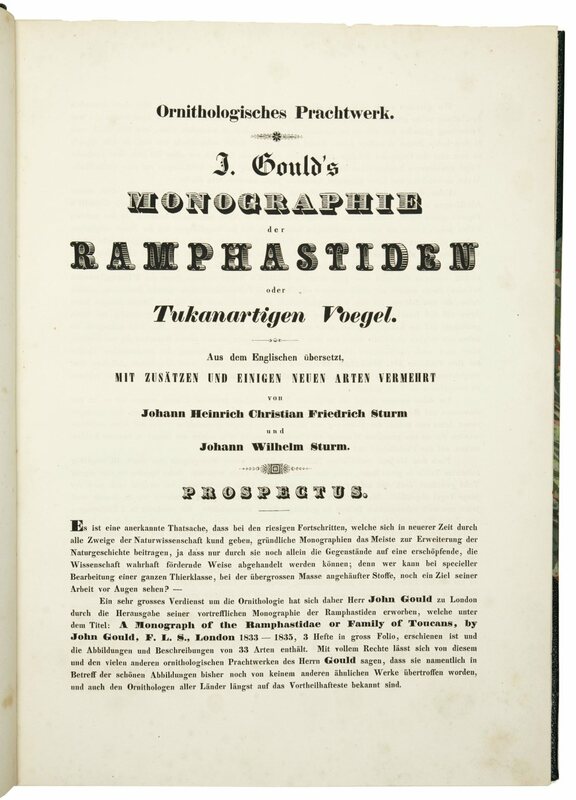 Gould's Monographie der Ramphastiden oder Tukanartigen Vögel, aus dem Englischen übersetzt, mit Zusätzen und einigen neuen Arten vermehrt von J.H.C.F. Sturm und J.W. Sturm. Nürnberg, Gedruckt auf Kosten der Herausgeber, 1841-1847. 4 parts, bound in one. 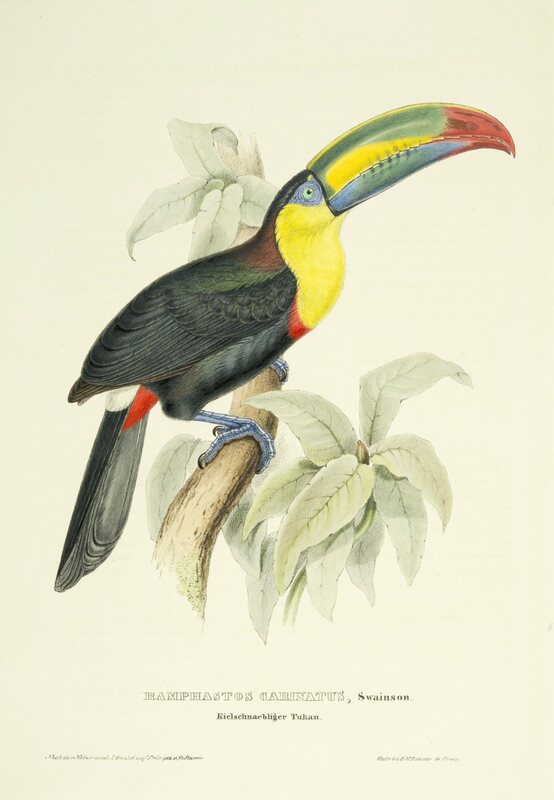 4to (325 x 235mm).With 38 lithographed plates of which 36 beautifully handcoloured. 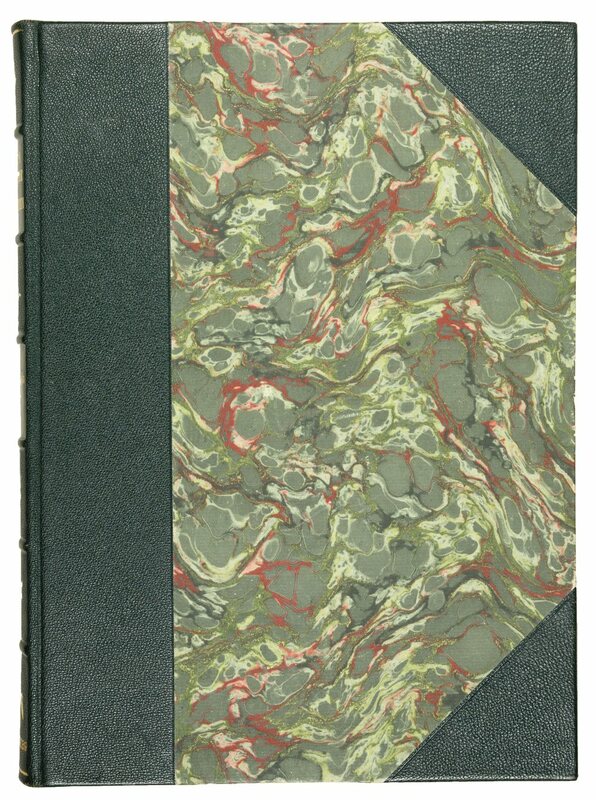 Later green half morocco with gilt bird ornaments and gilt lettering, marbled sides. 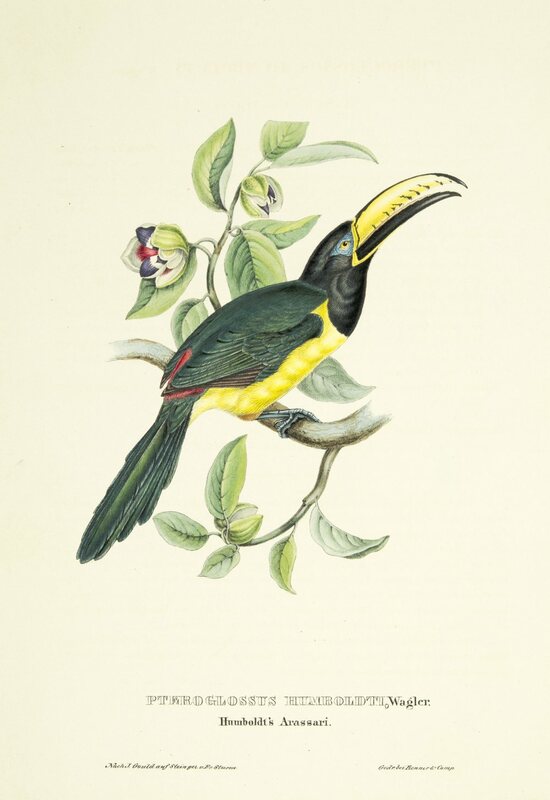 The excessively rare German edition of Gould's 'Monograph of the Ramphastidae, or family of Toucans'. 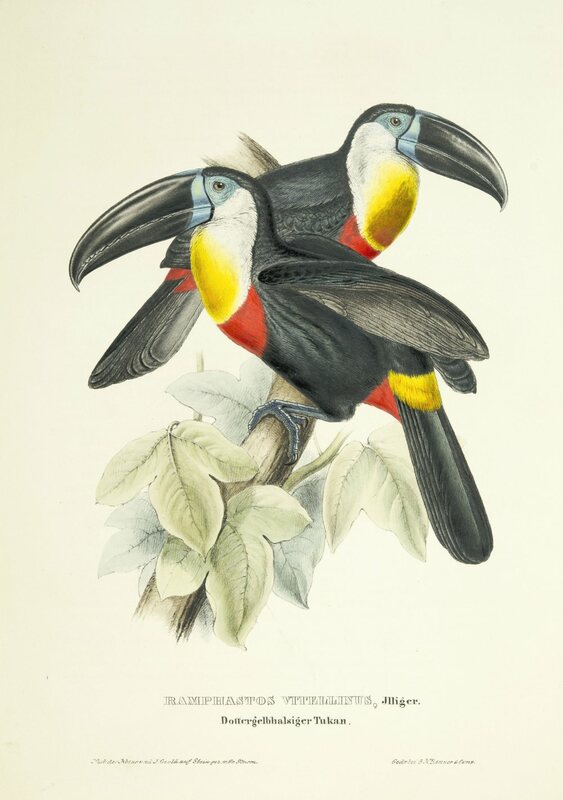 "John Gould's magnificent folios are probably the best known of the older bird books and are found in most libraries. 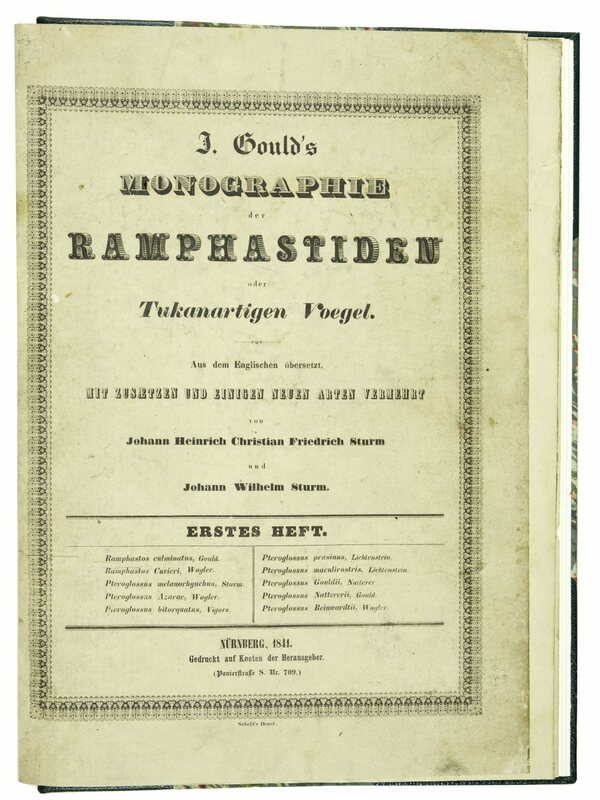 There is one work, however, which seems to be very rare, namely the German translation by the brothers J.H.C.F. and J.W. 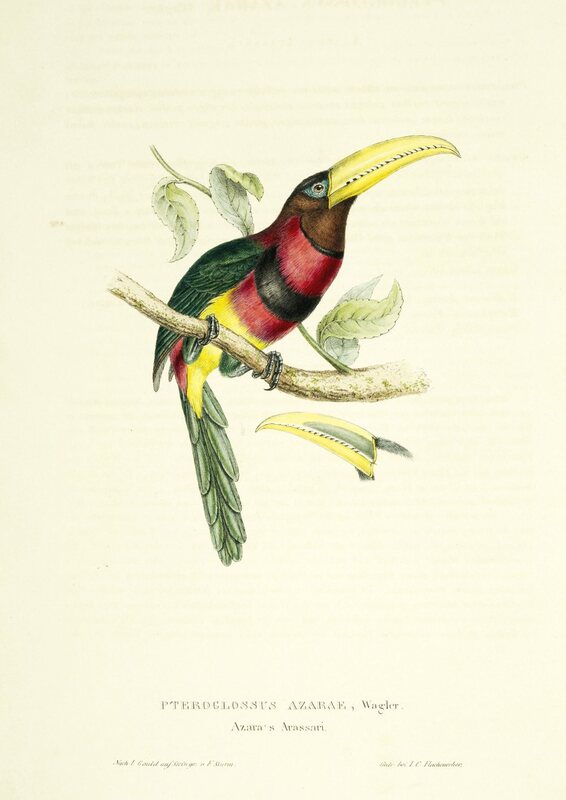 Sturm of Gould's monograph on the Ramphastidae, 1834. 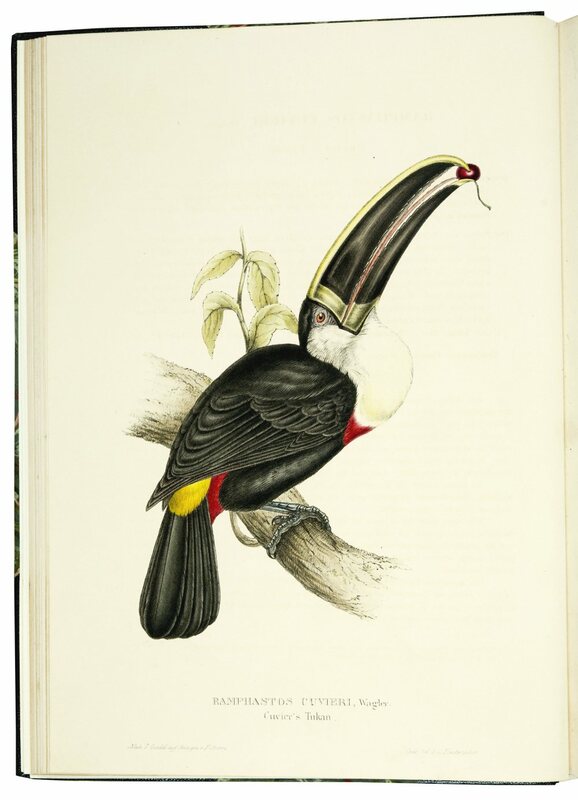 This was never finished, only 4 parts in small folio with 36 coloured and 2 plain plates being published in Nuremburg, 1841-47. No title-page was published, but I quote the title given in the prospectus ..." (C. Kirke Swann in Journal of Soc. for Bibl. of Nat. Hist Vol. 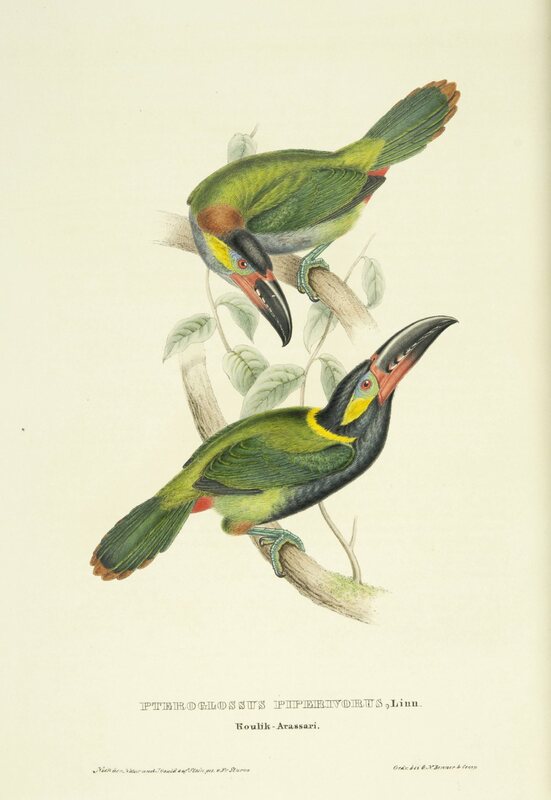 III, 3). In our copy the prospectus is bound at the beginning of the work as well as the 4 printed wrappers to the 4 parts at the end. 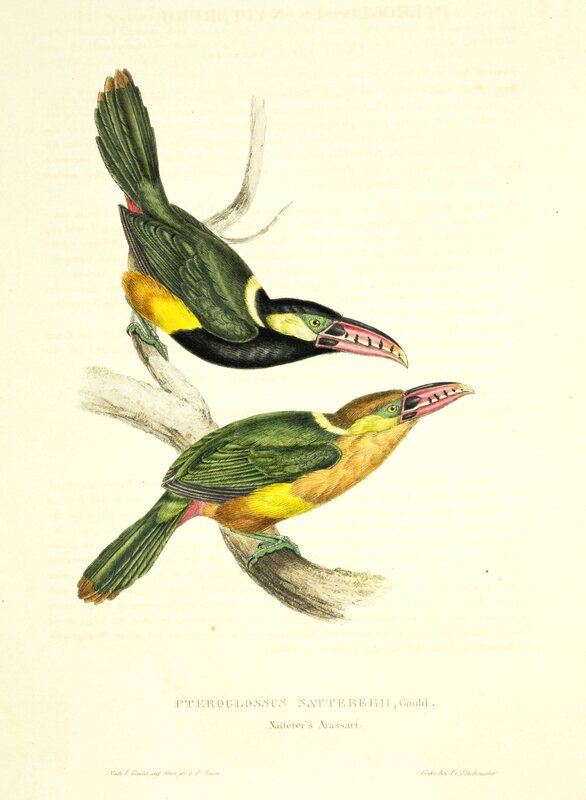 Sauer in his work 'John Gould The Bird Man' (see pages 45-48) gives an extensive description of this German edition. 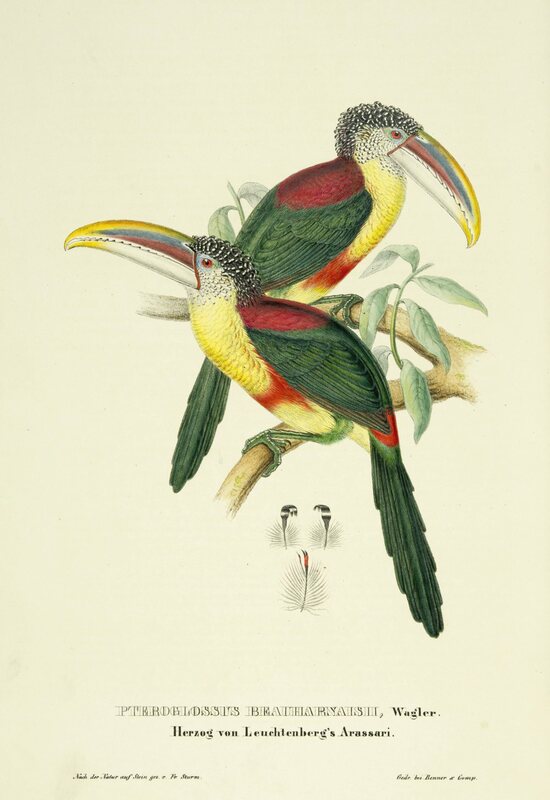 A fine copy with excellent colouring of the plates. Nissen IVB, 379; Anker 170; Schlenker 137.1.